﻿ Portugal 1-0 Russia. World Cup hopes revived by Postiga! 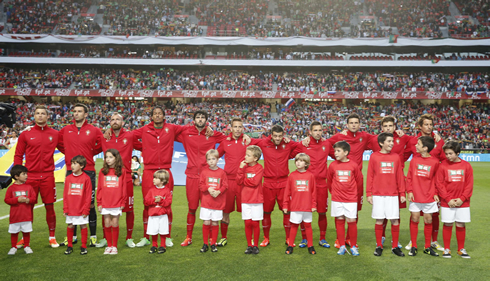 07.06.2013 » Portugal 1-0 Russia. World Cup hopes revived by Postiga! 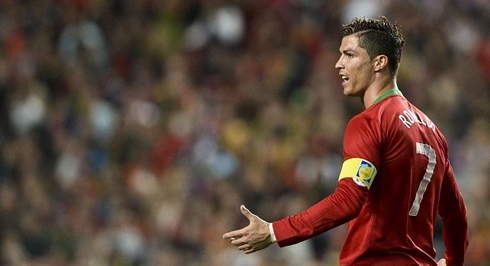 The Portuguese National Team has been slowly getting back on the track to Brazil's FIFA World Cup 2014 and its last step was given this past Friday, in a 1-0 win against Russia. Cristiano Ronaldo led his side as the team's captain, but it was Hélder Postiga who delivered the decisive goal that granted the 3 points to Portugal. 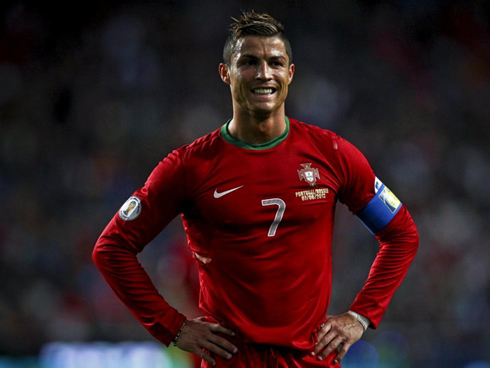 The road to the FIFA World Cup 2014 in Brazil is gradually getting less bumpy for Portugal, especially after this Friday's precious 1-0 win against Russia, a team who had been unbeaten so far. With the off-season right around the corner, many players went ahead to this game knowing it would be their last official game before the summer break. Moreover, the Portuguese National Team were desperately needing these 3 points in order to avoid allowing Russia to escape in the group standings. Real Zaragoza's striker Hélder Postiga came to the rescue early in the game and his goal assured that Portugal can at least continue dreaming with achieving a direct entrance ticket to the 2014 Brazil's FIFA World Cup. Paulo Bento's side definitely didn't start this FIFA World Cup qualification with the right foot, as they not only lost to Russia, but also dropped points at home against Northern Ireland and away against Israel. Needless is to say that the Portuguese National Team's margin for error was virtually nonexistent ahead of this match against Russia, meaning that no other result than a win had any interest for Cristiano Ronaldo and his teammates. With that thought in mind, Portugal approached this game with a strong and aggressive attitude right from the start, and fiercely chased the first goal that would expectedly ease things against a typically well organized Russian side. It has been Postiga's 26th goal while playing for the Portuguese National Team, after having scored 14 goals for Real Zaragoza in this season's La Liga, a personal contribution that has proved to be insufficient to allow the "Blanquillos" to hold up in Spain's top league. After the leading goal came on, Portugal's main priority became to make sure that they wouldn't expose themselves to unnecessary dangerous situations. Fabio Capello's Russia would still react as the game moved on, but the two Portuguese center defenders Bruno Alves and Luís Neto, showed that they had their lesson well studied and took advantage of the fact that they are both playing in the Russian league. Surely there's still a long way to go for Paulo Bento's men to confirm their presence in Brazil's World Cup in 2014, but this win against Russia may very well have been a turning point in their journey. The Lusitanos will return to the pitch this Monday for a friendly match against Croatia, but their next official match is only agended for September, against Northern Ireland. Cristiano Ronaldo might end up being spared against the Croatian side, not only due to the fact that the game doesn't have anything important at stake, but also because he has been showing some signs of fatigue for a few weeks now. 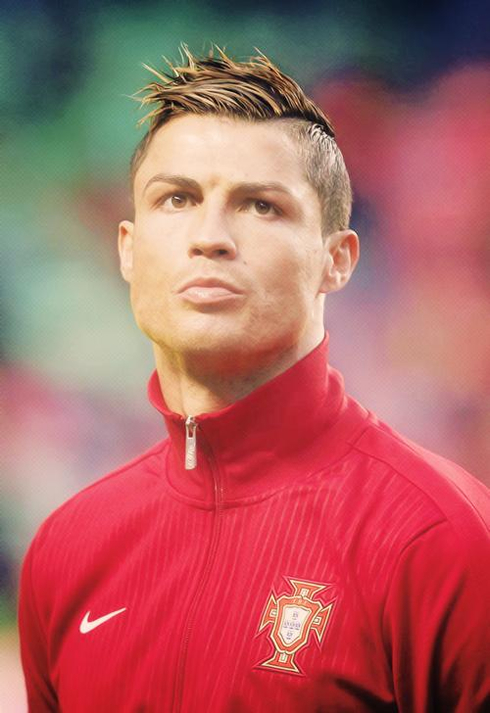 Cristiano Ronaldo next game will be for Portugal, against Croatia, in an international friendly schedlued for June 10, 2013. You can watch Juventus live stream, Croatia vs Portugal, Spain vs Ireland, Ecuador vs Argentina and USA vs Panama, all matches provided from our football streaming section.